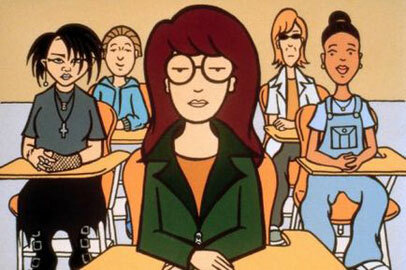 Mr. O'Neill submits one of Daria's essays to a contests in a teen girl magazine, and she wins. Her prize, if you can call it that, is to spend the day with the self-important editor of the eponymous magazine, a woman who thinks Daria's writing makes her 'edgy,' and spends much of her time trying to hold onto her youth and celebrity contacts. Jane believes it'll give Daria a chance to return the favor and spend a day at the editor's desk in New York City, but how much 'edgieness' can she possibly handle?